It’s the never ending quest to get caught up, PART ONE BILLION. Ugh. I swear, I see the drafts queue and about 7,345 partially written blogs staring back at me, but then I’m like FULL HOUSE IS ON! and so it’s down a rabbit-hole I go. At some point, game notifications light up and it’s time to save some baby pandas from their little bubble cocoons – and that doesn’t just happen all by itself. Feet up on the coffee table, wearing an enormous amount of robe, with one eye sleeping because CLEARLY: responsibilities are for other people. Ack! Chips Ahoy just appeared out of nowhere. BRB. Someone just needs to keep the TV off and the snacks away. Except don’t, or I will cut you. 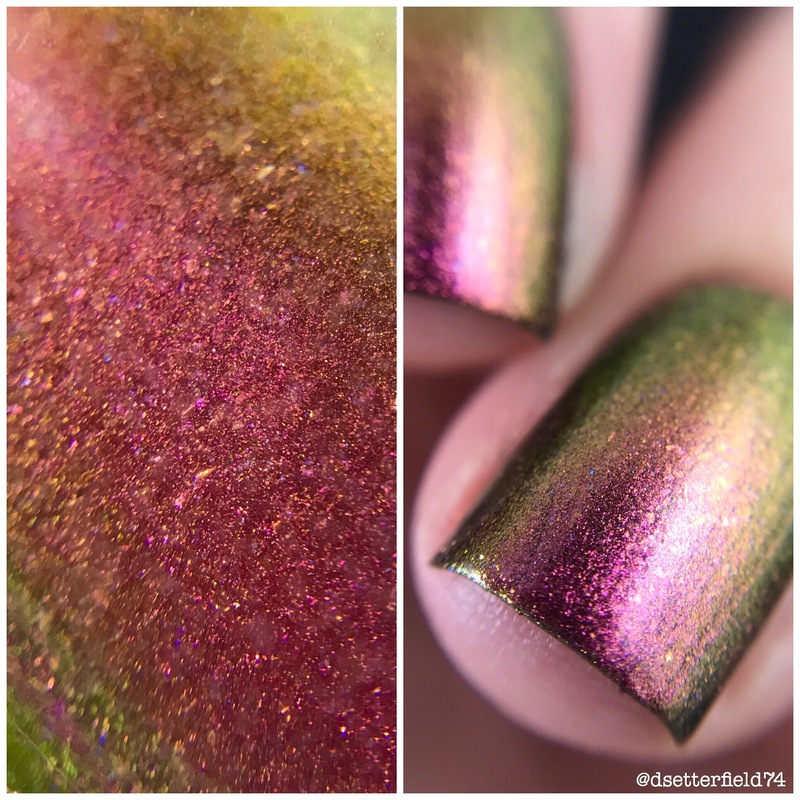 Multichromes are happening, y’all! 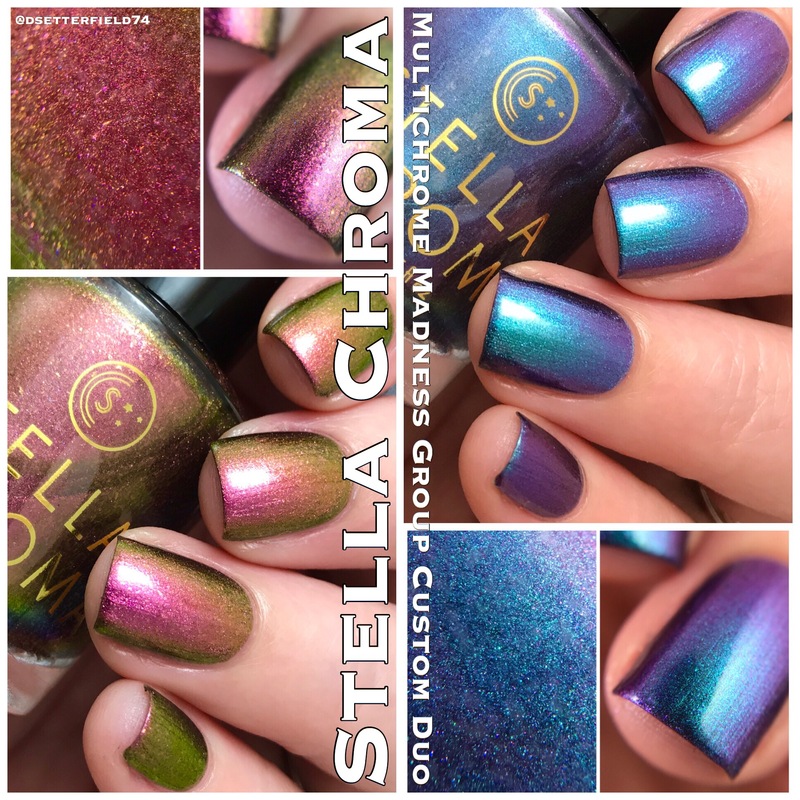 Miss Pam from Stella Chroma is in the spotlight for July, and she has created a most awesome custom duo exclusively for the members of the Multichrome Madness group on Facebook. Who’s ready to spend some money today? Damn near all of us, that’s who. Lesss go! 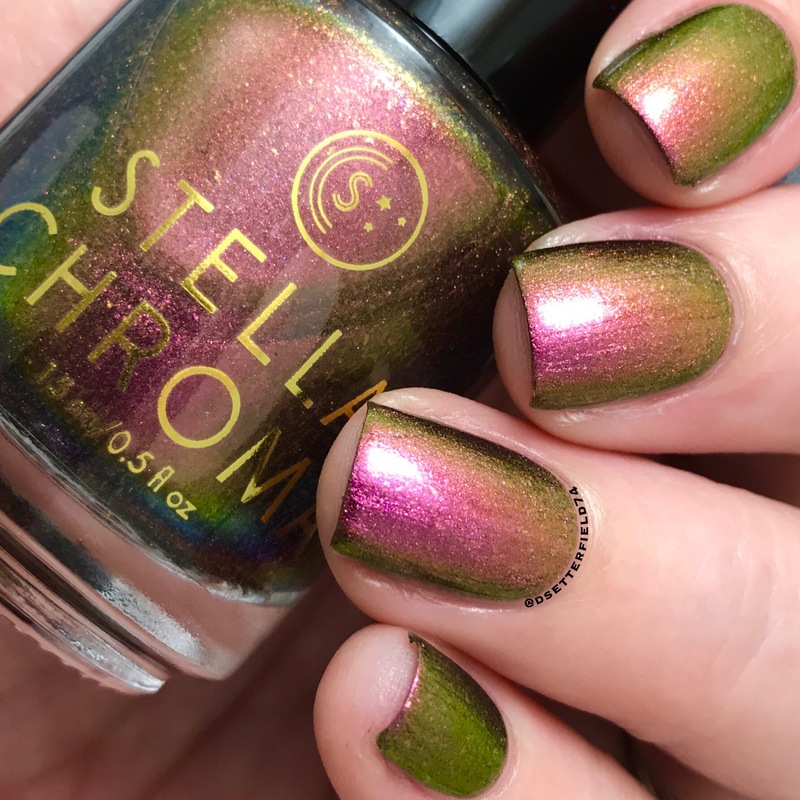 This beauty is a re-release of the very first Multichrome Madness exclusive back when Stella Chroma used to be Paint Box Polish. She’s come back to life, guys, and for that we all say THANK YOU THANK YOU THANK YOU. Now send Leonardo, kthxbai. 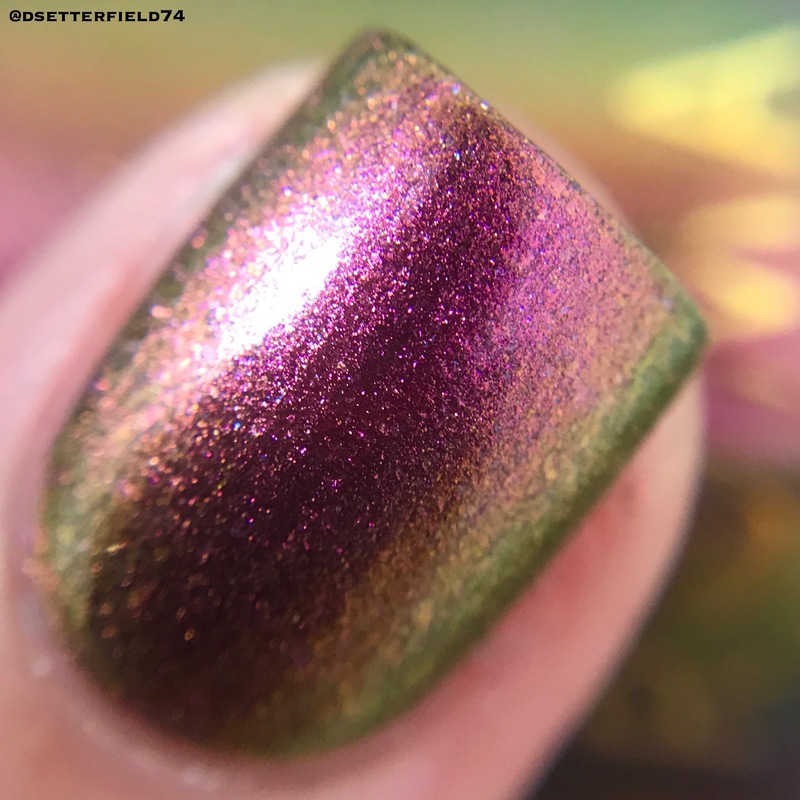 For those that don’t already have the original Amortentia, it is a glorious pink/yellow/green/gold shifty stunner. There could be a bit of a blue shift at super extreme angles, but that sounds like hand gymnastics to the trillionth degree, aka EXERCISE, aka LAME. So enjoy my blue-less swatch photos, cuz BEST BLOGGER EVER, that’s why. Gah! So pretty. The pink pulls you in, then the green makes you stay. We are all just puddles of goo at this point. 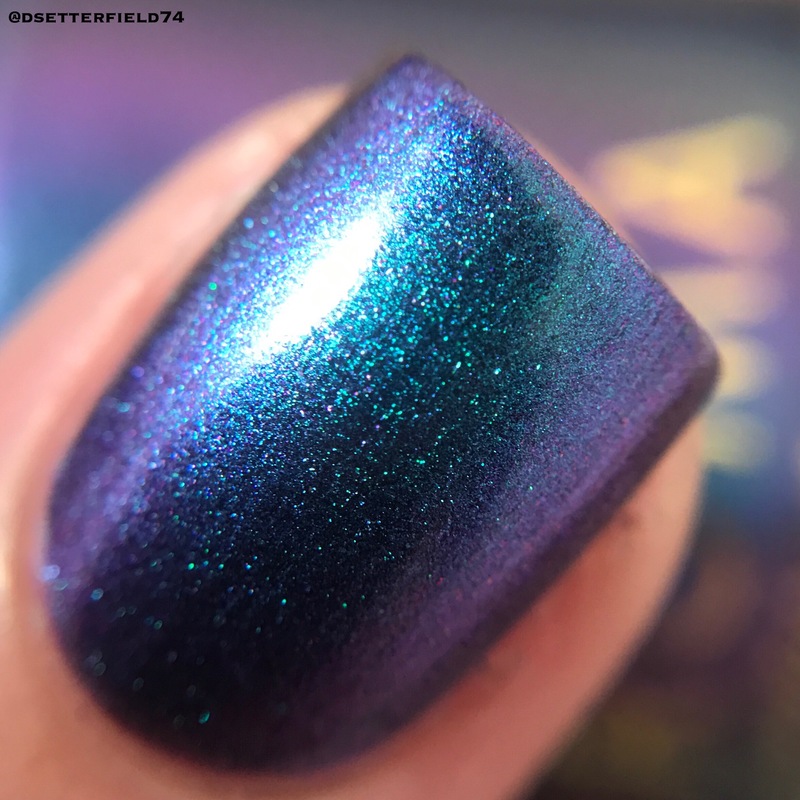 This one is a blue/purple/red/gold multichrome with the most amazing teal shift of your life! It seriously just glows and glows and glows. This one’s getting shoved up in stranger’s faces, I just know it. Possibly in a slightly more stalker-y kind of way, as strangers don’t wanna Look at mah nails! quite like you’d expect. I mean, I get it. Cuz if anyone comes running up to me with their jazz hands on, one of them better be handing me a Starbucks. OR ELSE. Can we ever just look at this one time WITHOUT the hassle of the drool and the buckets and the Ugly Ecstasy Face and whatnot? Cuz hubby is starting to feel sad about this pile of noodle legs he’s married to. I mean, the traditional 5th anniversary gift is WOOD and I swear if I get cheated out of my popsicle stick Titanic and little toothpick Leonardo, someone’s getting a karate chop. Yep. You’re buying it. A decision has been made. Both polishes in this duo are delicious two-coat dreamboats, and I see no logical other way. Okay, maybe you don’t like pretty things. Or maybe you have no eyes. I dunno. But after that, nothing. 27 bottles, in the cart they go! 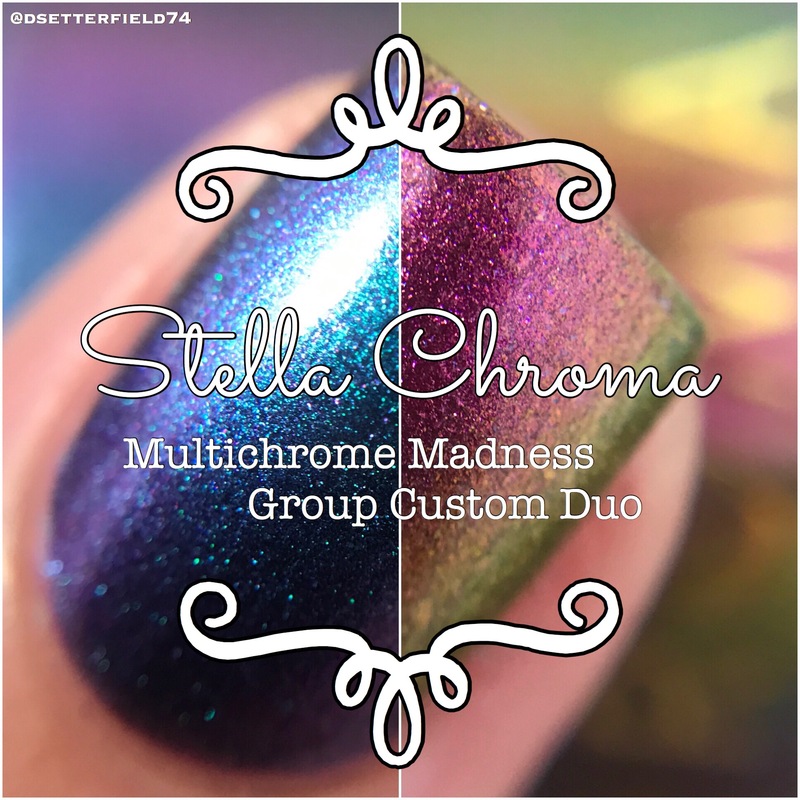 To order, you gotta be a member of the Multichrome Madness group on Facebook. 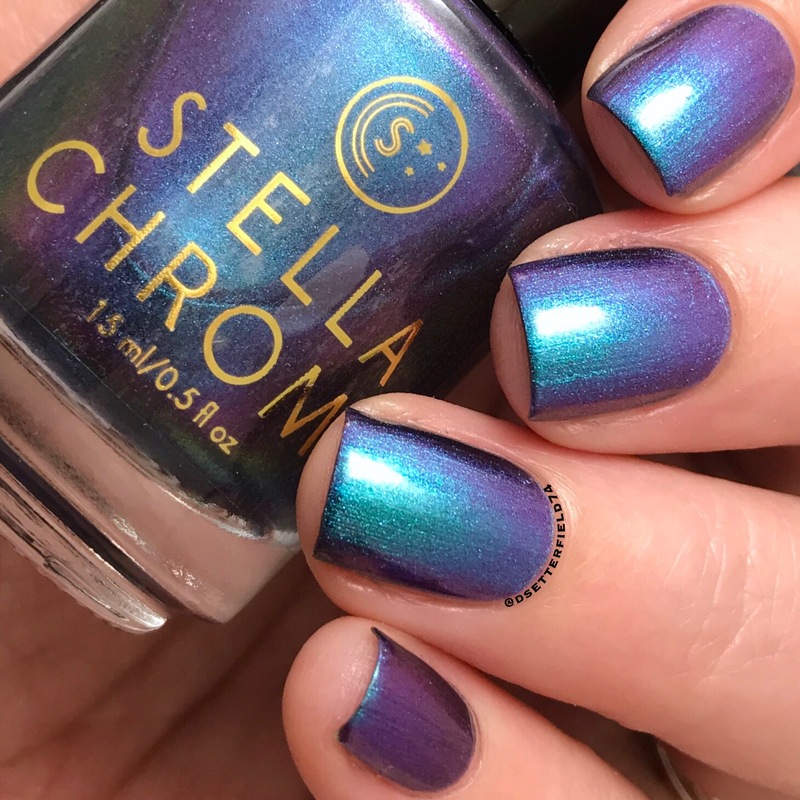 Click here to join, then head over to the Stella Chroma store by clicking here. This duo is only available until July 31, so if you can’t go now – although WHY NOT?! is the actual question – be sure to set some alarms so you don’t miss out. Cuz who wants to wake up August 1st so very sad and duo-less? CERTAINLY NOT YOU. Short and sweet tonight, although it still took 18 years to write. Ugh. One day I’ll get really good at this, I swear it.